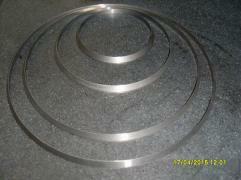 With special devices wie are able to overhoul/repair doctoring rings. If the deepness of the damaging not more than 0.3 mm we can resharp it. The processing limits itself not only to removing the damaged place. 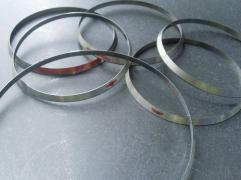 We rework the hard metal ring in such a way that the width of the doctoring ring are 0.1 mm . Result for you the ring is working like a new one. 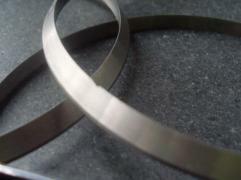 Topically we offer this service for one Color rings dimension 60, 90, 130 and 150 mm. The function of the revised rings was tested, in the field test with supplier of the toys industry, for a period of 6 months. 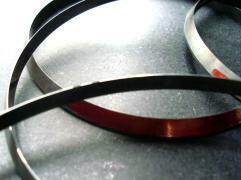 After occurred examination of your broken doctoring ring you will get a quotation if the Ring can be resharp. However, is to be noted that the thicknessof the used clischees may not lie less than 9.7 mm. 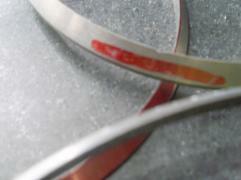 If the clishee are thinner, it could be that the Pressure beetween Ink Cup and doctoring is not strong enough.